It appears that a player by the name of urnotjustin has discovered a new glitch within Apex Legends that might make you want to use Gibraltar more often. Now, I know what you’re thinking. “Gibraltar? Really?” Hear me out. Yes Gibraltar may be a walking target due to his larger than normal hitbox and bright orange shield which is visible from quite a distance away, but it would appear that he is more useful than Apex players may have once thought. Due to an Apex Legends glitch, players are actually able to attach abilities to Gibraltar’s shield when deployed, allowing him to bounce around the map like one of those rubber balls from my old elementary school days. I’m not kidding when I say those things would bounce forever, and now you can too in Apex Legends if you combo Octane’s jump pads with Gibraltar’s shield. All you need to do is aim at the ground with a jump pad attached to Gibraltar’s shield while it is deployed. Another ability that you can attach to Gibraltar’s shield is Caustic’s gas canister. You can apparently stack more than one of these gas canisters on top of his shield, allowing Gibraltar to run head first into enemies like some sort of mobile gas wielding maniac. This would definitely provide players with an advantage late into the game, when the circle shrinks so small that you have no choice but to fight, so I doubt it will be long before Respawn fixes this glitch. The best part about it is that whoever is playing as Gibraltar doesn’t see all of the items stacked on his shield from their point of view, so you are literally at no disadvantage when exploiting this glitch. You can still see to shoot and ping enemies for your team, only now you can do so while also flying around the map at mach speed or rushing the enemies with gas canisters while they attempt to hide. 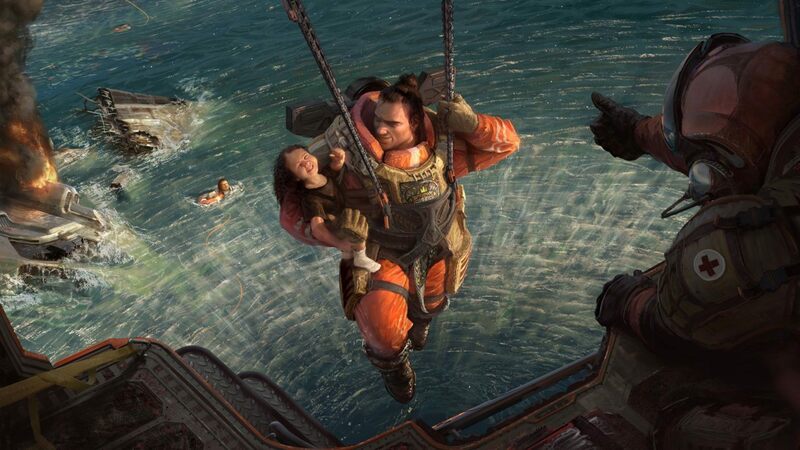 Will you be making use of Gibraltar’s new skills before Respawn patches this glitch out of Apex Legends? Let us know in the comments below!